Please read this first before you decide to purchase from a DIY Shop! 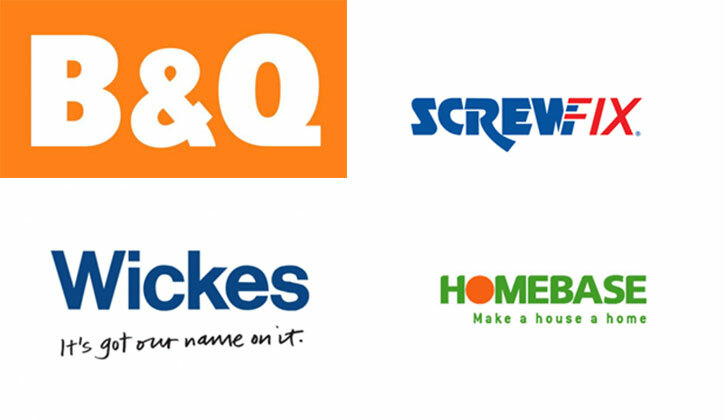 You want to order a picture hanging system from the B & Q, Homebase, ScrewFix, Wickes or Ikea? Please wait first and read about our findings on the matter! Hanging systems for pictures are able to be bought from most certain DIY Shops, such as B & Q, Homebase, ScrewFix, Wickes or Ikea. Nevertheless it pays to look further afield for hanging systems than just at these DIY Shops, as there are limited options at these shops. 1. The DIY Shops of the usually sell their hanging systems in expensive packaging such as blister or tube packaging. Therefore you will be paying extra for something you are not going to use. 2. 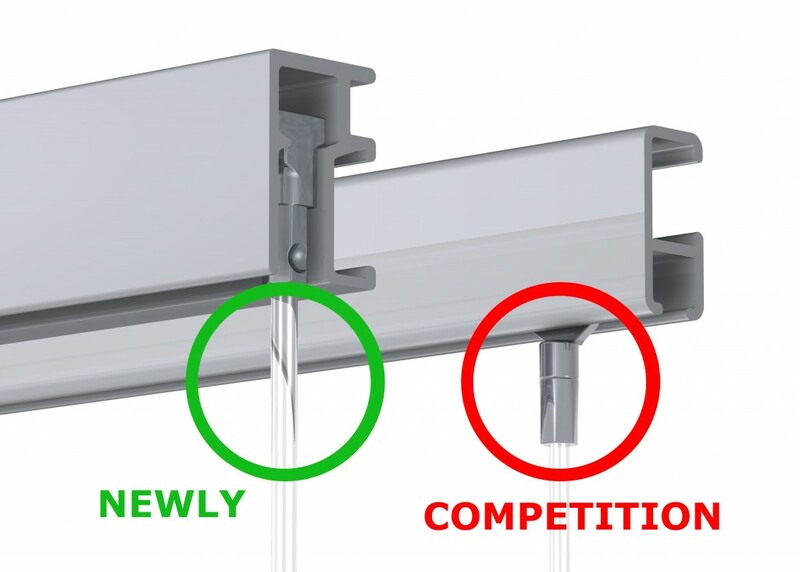 Often on the website of these DIY Shops, only the hanging rail is shown and thus all other components (e.g. Wires and hanging hooks etc.) 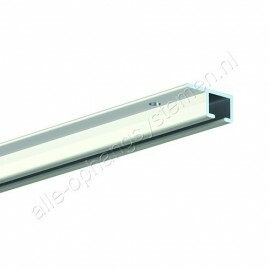 that are necessary to attaché the rail to the wall or ceiling, have to be ordered separately. 3. You usually buy a starter kit with only one or two cords and matching hanging hooks. 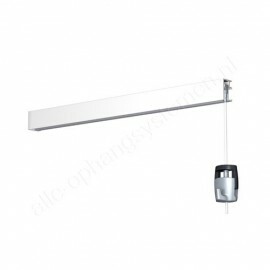 Loose hooks, wires and other hanging system products have to be bought separately, if available, to extend the hanging system further. 4. Then we have not even mentioned what maximum weight the hanging system of these DIY stores can take. Usually the carrying capacity is only 4kgs. That is fine for small pictures, but not suitable for larger works to be hung up safely and securely. 5. Finally the hanging systems from these DIY Shops, can often not be bought online. You shall therefore have to drive to the shop to select all the goods and to then purchase. Which in turn, adds extra expense as well. Order online at Picture Hanging Systems and you shall be ordering at competitive prices and therefore cheaper in the long run. 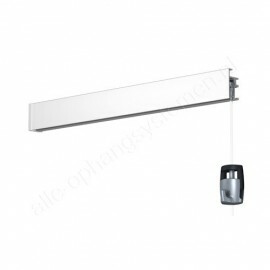 Not only do we have the largest assortment of all the popular brands (Artiteq, Stas and Newly), but also we offer the hanging systems well-packaged, without using the expensive blister-packaging, which you do not need anyway. We guarantee delivery in perfect condition. Our usual fixed transport partner knows exactly how to go about the transport and delivery of such specific and sometimes fragile products. Due to our large choice of hanging systems and attachments, you can put together everything according to your own desire and design and only order what you really need. You do not have to get existing starter kits, that you may not need in your personal situation. Order simply, fast and safely from our webshop and let the hanging system of your choice be delivered to you at your home or at the office. 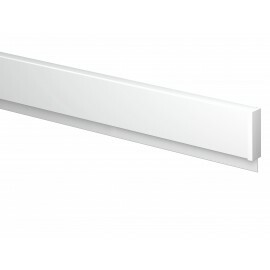 View our large assortment here or make use of our handy shop assistant attached to each rail product. Do you still have questions? Please phone +31 85 401 09 28 or send an e-mail to: info@perfecthangingsystems.co.uk and we shall give you free advice!